This information will let us know more about you. Email address (required) We'll never share your email with anyone else. Health insurance is a type of insurance that covers all or part of a person's medical and surgical costs. This is an agreement between you and your insurance company where the insurer pays the hospital fees and other medical expenses specified in the policy for the annual premium. Health insurance policy is used to protect the economy from medical bills. This allows you to prepare for sudden illnesses that will pierce your pocket if you do not have health insurance. Health insurance policy, also called Mediclaim in India, is a form of insurance that covers the costs of medical care and hospitalization. It covers insured persons against financial constraints caused by emergency situations. In the event of a sudden hospitalization, illness or injury, the health insurance policy will be liable for the cost of medicines, oxygen, ambulance, blood, an infirmary, various medical examinations, and almost all other associated costs. By paying a small premium each year, you can be sure that big medical expenses, if they are incurred, will not make your pocket empty. Health insurance tpa (third party administrator) is basically a combination between hospital, policyholder and insurance company. So the health insurance plan can be accepted for an individual or for your family as a mobile plan for family health insurance. The health insurance companies now also provide cover for the hospital stay during the day, before the hospital stay and after the hospital stay. The costs incurred are reimbursed to the insured person or paid directly to the service provider. On the one hand, health issues due to changes in the environment and lifestyle have become unavoidable in recent decades. A healthy lifestyle no longer guarantees a healthy body. On the other hand, medical costs have risen dramatically, which can lead to a desperate situation if you are not ready. For these reasons, the health insurance policy has become important in the modern world. This is a reasonable investment but requires little research to make sure the plan is affordable, provides good coverage, and is paid on demand. Why Health Insurance Policy is necessary? There are many reasons why buying a health insurance plan is not only a good idea but is also necessary. The benefits of these plans exceed the cost of the corresponding premiums and exemptions. Currently, life expectancy has increased significantly due to advances in medicine. According to the World Health Organization (WHO), total health expenditure in India in 2014 was 4.7% of GDP in India. India is also a country where medical expenses increase by 15 to 20% every year. In addition to rising medical costs, more and more people are affected in connection with the lifestyle in our country,In financing their treatment, however, many people are under financial stress or even lack of funding. This means loans, mortgages and the sale of goods to sustain a person's life. Here, the health insurance policy can be truly life-saving as the cost of hospitalization, surgical treatment, treatment, medication, etc. has increased. It can suddenly come to health problems that surprise you. In the modern world, the odds of cancer and other diseases are great. If you do not accumulate mass, you will probably need to figure out how to fund the treatment. The medical expenses have increased significantly in recent years. Health insurance policy will cover most of the costs associated with the treatment and reduce the financial burden. Cash benefits offered by all insurers can help reduce your personal expenses. The patient can focus on recovery and peace of mind knowing that the finances are covered. The financial burden is not with the family of the insured. Health insurance companies offer additional services, eg. emergency assistance, ambulance, health insurance, hospital money, etc. Medical treatments are a tax burden for the family. Uninsured people may receive less health care due to lack of money. They are more at risk because they do not have access to regular health consultations. Protects the family during unforeseen and unpredictable financial situations. What is Covered in Health Insurance? 1.In-patient hospitalization: Medical expenses related to hospitalization for illness or accident of more than 24 hours. 2.Pre-hospitalization: Medical expenses incurred the days before admission due to illness. 3.Post-hospitalization: Medical expenses incurred after a certain period after discharge from the hospital. 4.Day-Care procedures: Medical costs of treatment that do not require hospitalization within 24 hours due to technological advances. 5.Home treatment: Covers the cost of home treatment requiring hospitalization. 6.Emergency ambulance service: Costs related to the use of the ambulance service to get to the hospital. 7.Ayush benefit: Treatment with Ayurveda, Unani, Sidha, and Homeopathy. What is Not Covered in Health Insurance? 1.Pre-existing conditions: Pre-existing conditions are illnesses that you may already have when you apply for insurance. Existing diseases are probably not included in the health insurance policy. However, health insurers have already begun to cover existing diseases after a waiting period of two to four years. 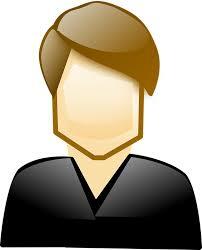 2.Cosmetic surgery: Cosmetic surgery is one of the most common exceptions of health insurance. However, plastic or cosmetic surgery after an accident is covered by several health insurance policies. Joint replacement and dental care are generally excluded from the health insurance policy. 3.Suicide attempt: An insured person is not insured if he or she is intentionally injured. As a result, injuries caused by suicide attempts are not covered by any health insurance policy. 4.Therapies: Health insurance plans do not include therapies such as acupuncture, naturopathy, magnetotherapy, and alternative therapies. This includes hospital costs that can occur in the event of accidents, care, surgery or serious illness. However, the characteristics, limits, and sums vary from insurer to insurer. As with the payment of mobile networks, this increases the existing health insurance plan additionally. The aim is to increase the sum insured with an adequate cover by paying a relatively low premium. 1.Pre-hospitalization expenditures: The costs refer to medical costs that are charged 30 to 60 days before hospitalization, such as: Diagnostic tests, medicines, etc. Hospitalization costs: Expenditure that is done in the first 24 hours. Typically, there are the costs of renting a hospital room, the operating costs, the costs of the UCI, the cost of medical visits, operating costs and other important expenses such as blood, anesthesia, oxygen, etc. 2.Post-hospital costs: The costs incurred between 60 and 180 days after admission are usually borne by most insurance companies. These fees include a fee for consulting a doctor, medical diagnostic tests, medications, etc. Hospitalization cost: Medical expenses incurred as a result of treatments performed at home for more than 3 days. 3.Procedures for children: Pediatric or medical procedures such as dialysis, angiography, radiotherapy, chemotherapy, appendectomy, colonoscopy, lithotripsy, hydrocele, ophthalmic surgery, etc. Some quality health insurance plans cover all day care procedures. 4.Organ donation costs: Some health insurance policies cover the medical costs incurred during organ donation. If you donate a corporation, your health insurance company will provide your donor with financial support. 5.Serious Illnesses: The critical illnesses is normally covered by health insurance policy which includes cancer, heart attack, coronary artery disease, stroke, paralysis, major organ transplants, chronic lung disease, Parkinson's disease, etc. 6.Ayurvedic treatment: Ayurvedic treatments or AYUSH, ie Ayurveda, Yoga and Naturopathy, Unani, Siddha, and Homeopathy are covered by the policyholders who choose this kind of treatment. 7.Hospital cash: Daily expenses for food, hospitalization, etc. The amount paid by your doctor at the time of admission can be offered in the health insurance policy or are available as a request. Health insurance policy also compensates for the loss of income due to health problems. 8.Emergency medicine:Health insurance policy covers the costs of emergency medicine under different health insurance plans. 9.Check-ups: Some health insurance plans provide general health surveillance as a preventive measure. 10.Vaccines:Some health insurance plans cover the cost of vaccination against bee stings, dog bites, etc. 11.Emergency evacuation: In emergency situations, where a patient has to be transferred from one hospital to another, the health insurance companies cover the costs associated with the relocation process. Life is uncertain, and health problems can arise at any time that can put a strain on the insured's family to organize their finances at short notice or without notice. This will help you to prepare financially in advance despite the higher costs of medical treatment and hospitalization. Offers financial protection against most of the costs associated with medical care. The cashless installation offered by health insurance companies in their network hospitals allows the insured person to overcome the difficulties associated with paying at the time of admission. The insured person can focus on a speedy recovery, and the health insurance companies manage the incurred cost. 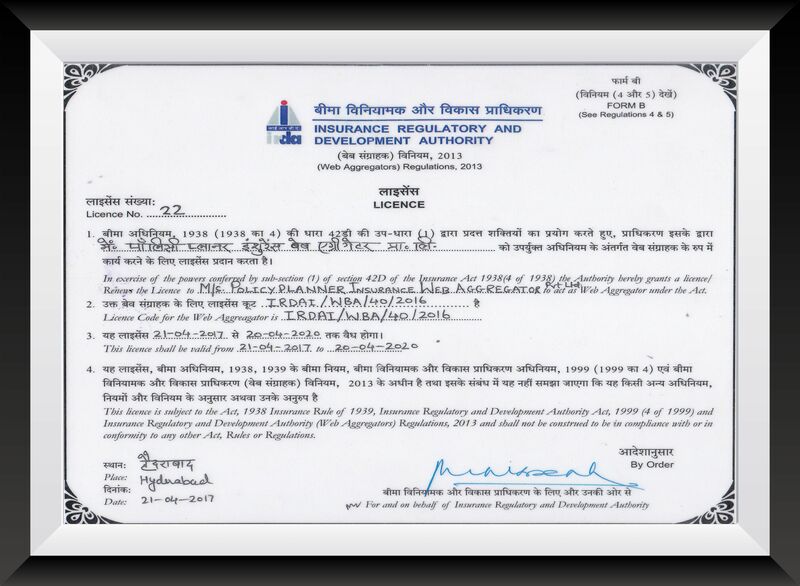 Ambulance charges are included in health insurance plans that are issued in India. Health insurance policy must be always issued online to get maximum benefits of the policy. There are several online aggregators on the market that will help you see and compare health insurance policy according to your needs. In this way, you can examine the different characteristics available in the health insurance plans and their proportional costs. This will allow you to make an informed decision when choosing the package that best suits your needs with the best available price. It's nice to stay at home or in the office and buy the package from your desktop computer or laptop. Do not visit the central office of the health insurance company or wait for the visit to your health insurance agent. All you have to do is turn on your computer and let your fingers talk. It is simple and straightforward and can complete the purchase process in minutes. Online shopping is not easy, as are the services before and after the sale of the insurer. Insurers offer a health insurance premium calculator option to determine premiums before purchasing the plan. The details of the health insurance plans are available for your investigation and there is also a live chat service that will help you with all your questions. For after-sales services, companies also send bonus vouchers, paper copies of their obligations and the premium renewal reminder online, which will make your shopping experience satisfactory. This is the best part of the online shopping method. You do not have to worry about the proximity of the insurer's office because you can virtually visit the website. Therefore, the purchase of a health insurance plan or a maintenance can be made from any corner of the world through the health insurance company's online website. This overcomes the geographical barriers that facilitate the buying process. The purchase of an online health insurance has many advantages, even the most conservative, have turned to the online platform. It is comfortable and safe, and above all, saves us time and money. Hospital plans:Hospital plans are health insurance plans that reimburse the costs of medical care and hospitalization for a person based on the sum insured. Therefore, these health insurance plans are also referred to as compensation plans. Family floater plans: Family health insurance plans cover an entire family with health insurance. This works on condition that not all family members have the disease at the same time. These plans cover the costs of the hospital, which may be incurred before and after hospitalization. Most family-owned health insurance companies in India have an extensive network of hospitals that help policyholders in emergencies. Senior citizen plans: As the name implies, senior citizen health insurance plan is basically for older people in the family. These health insurance plans address health problems that occur in old age. According to the recommendations of the IRDAI, each insurer must provide health insurance coverage up to 65 years of age. Maternity plans: Maternity health insurance plan covers maternity and other incidental expenses. These rules concern prenatal and postnatal care and delivery, i. e. Normal birth or cesarean delivery section. Like other health insurance plans, maternity insurers have a wide range of network hospitals and manage emergency costs. Daily hospital reimbursement plans: The daily hospital reimbursement is a beneficial health insurance plan that provides for a specific amount of money for each day of hospitalization. Critical Disease plans: These health insurance plans are a subsidy-based policy that offers a range of benefits for diagnosing a critical illness. These diseases are usually specific, with high severity and a low frequency in nature. Therefore, the cost of treatment is high compared to the daily medical/therapeutic needs. Some of these diseases are a heart attack, cancer, stroke etc. 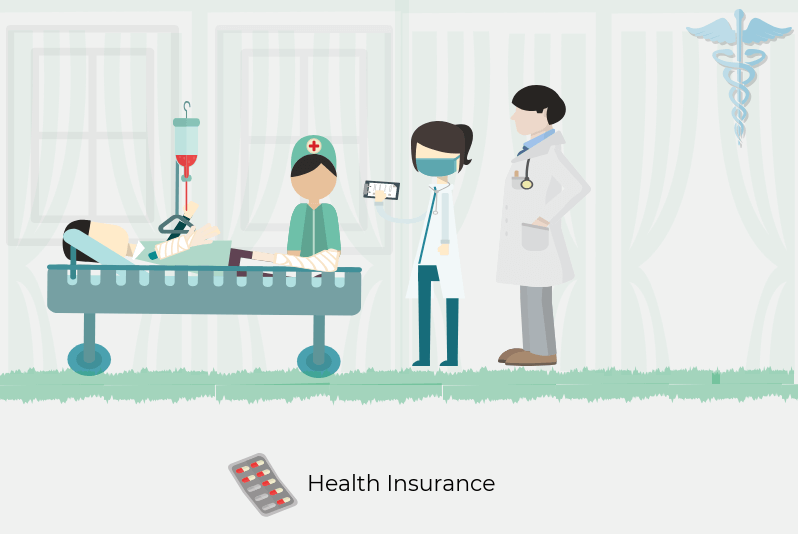 How to know which health insurance plan is suitable for you? If your group’s health insurance policy does not provide sufficient coverage, you can choose an individual health insurance policy that offers cashless treatment and loan repayment. Employers offer their employees health insurance policy to maintain talent in the organization. Group health insurance policy does not require a medical examination. All employees working in the organization are eligible for the plan. If you want to take care of your family in a timely and appropriate manner, choose a family health insurance policy. You pay only one premium, but the insurance amount can be shared by the whole family, including spouse, children and dependent parents. If you are between 60 and 65 years old, health insurance for the elderly is the only option to get the best possible insurance. In most health insurance policies for the elderly, the supplement is essential. This is more restrictive than a conventional health insurance policy. The insurer pays a lump sum payment if the life insurance company diagnoses one of the critical diseases specified in the policy, regardless of whether you have treated the disease or not. Health insurance plans for the most critical diseases range from 9 to 15 diseases, such as a certain type of cancer and the first heart attack. This type of health insurance plan provides coverage for any illness or injury resulting from an accident. The insurer pays a lump sum payment if life insurance is completely or permanently disabled as a result of an accident. General health insurance plans do not cover non-medical expenses that may arise during a hospital stay. To cover these costs, you can choose a hospital financing plan, in which the insurer pays health insurance up to Rs 4,000 per day during the entire hospital stay. The amount of pre-determined money that you regularly pay for the health insurance policy is called "premium." This gives you the opportunity to use medical services for a certain period of time, as indicated in the health insurance document. You must provide the necessary data for the health insurance premium calculator to indicate the amount of premium you must pay. This information includes any existing illness, the insured amount, age, number of participants to be covered, etc. They serve as parameters by which your contribution is calculated. The benefits mentioned in the policy will be paid by the health insurance company selected in case of an unforeseen emergency or diagnosis of the disease in accordance with the conditions of the policy. How To Use Health Insurance Premium Calculator? These rules will provide you with a cashless refund/reimbursement of all medical expenses, if applicable. This cashless repayment/compensation mechanism is the result of a planned investment in the form of payments of health insurance premiums over a specific period of time. Investing in the health insurance policy is usually not a top priority for teenagers, as they think they are far from old age for decades and have enough time to get a health insurance plan. Unfortunately, not all medical needs give you financial planning time. In addition, not all diseases are the result of age. It can also be lifestyle-related diseases that are currently growing steadily. These diseases can be caused by excessive drinking, smoking and other unhealthy eating habits. First of all, it is important to invest early in economic, but effective health insurance, because the younger you are, the less contribution you pay. In addition, by paying this directive for a long period, you will also be entitled to most diseases for which a specific waiting period applies, How can health insurance premium calculator be used to get the most appropriate premium for your health insurance policy needs? Enter the necessary medical information, which is a parameter that allows the health insurance premium calculator to calculate the health insurance premium amount. View and compare the features and benefits offered by major health insurance companies in their plans. Choose the one that best suits your financial goals. The health insurance calculator helps you to get a clear idea of the health insurance premium you pay based on your financial goals and medical needs before making a final decision on the type of health insurance policy you want. The health insurance premium calculator shows all available health insurance policies according to your needs so that you can compare them. This makes the decision-making process relatively easy for you. The health insurance premium calculator also indicates the appropriate additional drivers for each health insurance policy corresponding to your needs. This not only gives you the opportunity to search for them at a glance but also allows you to choose them without having to visit the websites of individual health insurance companies. With the help of health insurance premium calculator, you can conduct an in-depth survey and find out the opportunities available to you, even before contacting several companies and insurance agents. In this way, the process of choosing a health insurance policy for you without problems and helps you make an informed decision. To qualify for a health insurance policy without money, the insured person must be treated at one of the hospitals in the hospital network to which the insurer is affiliated. When presenting the e-card, health insurance information or other material proof of the insurance, the insured person can benefit from cashless treatment and without hospitalization. This service can only be used if the accident or illness is included in the health insurance policy. When the patient is released, medical expenses are sent from the hospital to the health insurance company. The health insurance company then evaluates the expenses and pays the payment. In addition, health insurance companies reimburse up to the insured amount initially paid by the insured in the event of illness or accident. This usually occurs when the patient is hospitalized or treated by a hospital that is not part of the insurer's hospital network. The insured must first fully assume the processing fees and present the processing certificates to the insurer for payment of the credit. The health insurance company then estimates the costs and reimburses the amount up to the amount insured based on the extent of health insurance coverage. If the treatment is not included in the strategy, the application will be rejected. Q. What happens if the first insured person who is part of a family insurance expires? Ans. If the primary insured dies after admission, reimbursable medical expenses will be reimbursed. If the primary insured person is also the oldest member of the family, the health insurance premium will be calculated for the following years after the death of the primary insured, based on the age of the next senior member. To do this, the family must complete the application form provided by the insurer. Note that if only two members comply with the policy, the mobile family plan will be transformed into an individual plan. Q. Who are eligible for health insurance policy? Ans.Insurers: The minimum entry age varies between 18 and 21 years, according to the health insurance insurance company. The maximum retirement age varies between 60 and 100 years, with the flexibility of renewal extended to life in general. Dependents: Spouses, children and parents are known as members of the insured. The age of onset for children starts between 90 days, 18 years or 25 years, according to the insurer. Renewal: Health insurance can usually be renewed for life. However, this varies from one health insurance company to another. At a certain age, medical consultations may be recommended and companies may request higher premium rates. Q. Which health insurance plans can be issued by women? Ans. Women in all walks of life are making progress and try to maintain the delicate balance between their personal and professional commitments. Therefore, it is important that your medical needs are met. Several health insurance companies have now developed unique health insurance plans targeted specifically at the conditions of women such as breast cancer, ovarian cancer, cervical cancer, pregnancy complications, childbirth or other critical illnesses. Some of the leading companies offering this type of health insurance are TATA AIG, Bajaj Alliance, etc. Q. Are children covered in health insurance? Ans.Yes, health insurance can cover dependent children according to current legislation. You can now include or keep dependent children in your insurance until they are 26 years old. Q. What plans do parents cover in health insurance? Ans.Family health plans are usually parents in India. There are special plans designed by different health insurers to meet the medical needs of parents between 55 and 60 years. The main providers of such unique plans include Star Health Insurance, Bajaj Alliance, Apollo Munich, Max Bupa Health Insurance and more. Q. How can I renew my health insurance? Ans.You can extend your health insurance offline or online. For offline renewal, contact your health insurance company at least 30 days before the expiration date and submit a renewal application. Any change in health status must be communicated to the supplier at the time of renewal. In the case of an online renewal, it is necessary to provide the basic information together with your insurance number and make the payment online by debit or credit card or via Net Banking. Q. What are the Indian government's health plans? Q. How can I purchase online health insurance? Ans.As a single platform for reviewing all available healthcare plans, the Internet offers a quick, easy and convenient way to purchase the best health insurance at the click of a mouse. Unlike the previous days, today's life is very fast and many of us do not care about buying a health insurance plan. All you have to do is visit the insurer or the online broker's website, provide details on the insured members, select the amount of coverage, fill out the offer form and pay the premium. Your health insurance company will contact you as soon as possible. Q. What is health insurance (Medical Insurance) in India? Ans. In India, health insurance policy is something that pays for hospitalization, the medical costs of hospitalized patients, sometimes outpatients and treatment with alternative treatments such as Ayurveda, etc. Basically, first health insurance policies in India were mediclaim policies. Q. What is the health insurance policy (Medical Insurance) in India? Ans.In India, the health insurance policy is something that pays for hospitalization, the medical costs of hospitalized patients, sometimes outpatients and treatment with alternative treatments such as Ayurveda, etc. Basically, first health insurance policies in India were mediclaim policies. Q. What is health insurance premium per month for a person? Ans.Individual coverage premiums averaged $ 440 a month, while family plan premiums averaged $ 1,168 a month. Q.How can I get a cheap health insurance policy? 1.Understand your alternatives to purchasing individual health insurance. The cheapest purchase you ever made is what you don't do. 3.Compare the costs of everything. 5.Choose the best health insurance plan that suits your needs. 6.Get a copy of the health insurance policy. Q.What is the difference between mediclaim and health insurance? Ans.Health insurance and mediclaim are the two terms used interchangeably. However, these two differ from one another. The main difference between the two is that the demand for drugs is limited in particular to hospital costs. Health insurance is comprehensive insurance. Q.Can I have a health insurance policy without work? Ans.If you are unemployed, you can use the market to buy an affordable health insurance policy that allows you to save based on income and family size. You could also benefit from free or low-cost services through Medicaid or the Children's Health Insurance Program (CHIP). Q.Can I have a health insurance policy at any time? Ans.When do I buy a health insurance plan? Before 2014, you can purchase an individual health insurance plan for each season. Except for special circumstances, you can now only buy individual coverage during the period known as "Open Enrollment". However, some states extend the time needed for people to take out a health insurance policy. Q.Do you need a health insurance policy? Ans.Without coverage: You may need to pay a fine. Most Americans who can afford health insurance policy must have it before 1st January 2017, or pay a fee of $ 695 per adult or 2.5% of annual income, whichever is greater. "I have purchased health insurance policy from Policy Planner, Their positive response and effective actions changed my opinion of the entire insurance segment. Hope they keep it up! Good service.!!! Thank you for letting me work on this masterpiece. One of my favorite people." " Policy planner is very best company in insurance field Health Insurance is very best they always think about customer and plan her products like that they have website and put there is all information about product. " "I have purchased health insurance policy from Policy Planner, Thank you for taking great care and Quick response of us on our insurance. and your team at Policy Planner Insurance Web Aggregator have been wonderful to works." 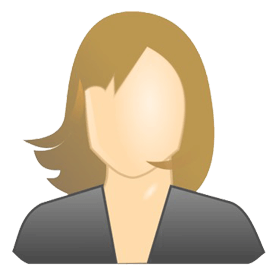 " I bought the best online health insurance policy from this website with no difficulties issuing it. Each and every plan is mentioned in detail on the quote. Every and every health insurance plan is provided with health insurance company brochure." " I have search many policy I have Star Health Insurance last 5 years before opened this insurance and still now I never any claim .This is best customer service provided and response at a time and this is best insurance is all over insurance. My insurance is 1500000L and I happy with star health insurance. butbut policy planner is very good website for my site"
" Experience of online is very good.And the people who explained are very professional there will it rain I think so and let me explain my experience I have taken 1 crore rupees insurance from HDFC life I have taken 1 Core 2 page accidental coverage also up to my 75 years age." " I was searching for health insurance plan one of my friend refered me policy planner website then i visited the website it was easy to handle." telephonic discussion with telephonic caller was wondering that they help me lot policy planner website and all processes are easy to handle." If you are admitted for treatment in a network or a non-network hospital for more than 24 hours.They are providing better services to policy users. Medical expenses including diagnostic reports, medicines etc. for the treatment you are hospitalized. OPD treatments are not included, but procedures such as cataract and kidney stone removal are covered (even if they don't need 24-hour hospitalization). For medical and other out-of-pocket costs in case of an accidental injury. In fact, this cover is active from the very first day of policy insurance users. Expert advice and an informed, unbiased opinion that clears the confusion and helps you buy that perfect plan for you. Can it get any easier? Service Managers who assist you with all your post-sale requirements - from claims processing to renewals! They are like superheroes, but only better. Have you ever bought something only to find out later that you could have gotten the same item cheaper elsewhere? Policy Planner was created for this reason and that is to help people across the country save on buying insurance.